Wedge your way into physics fun! You and your child can learn a bit about one of the six simple machines with this worksheet all about the wedge. Read a bit about this basic machine, and then try to think of a few examples of it that we use in everyday life. Did you know that the screw is actually one of the six simple machines? This handy machine helps to make work easier! 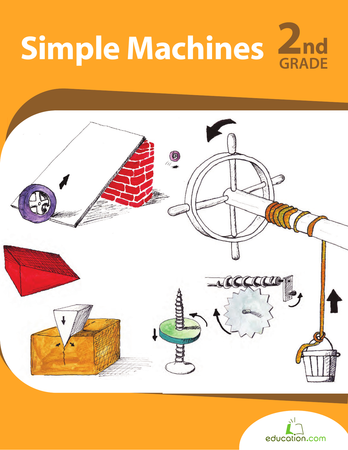 Get to know one of the six simple machines with this worksheet about the lever. How many machines can you find around the house? You may find them where you least expect it! Meet the master of compound machines: Rube Goldberg! His wacky contraptions put a whole new spin on the use of simple machines. They both move using the simple machine wheel and axle. In this lesson, students learn about how this simple machine works, and will identify objects that use a wheel and axle. 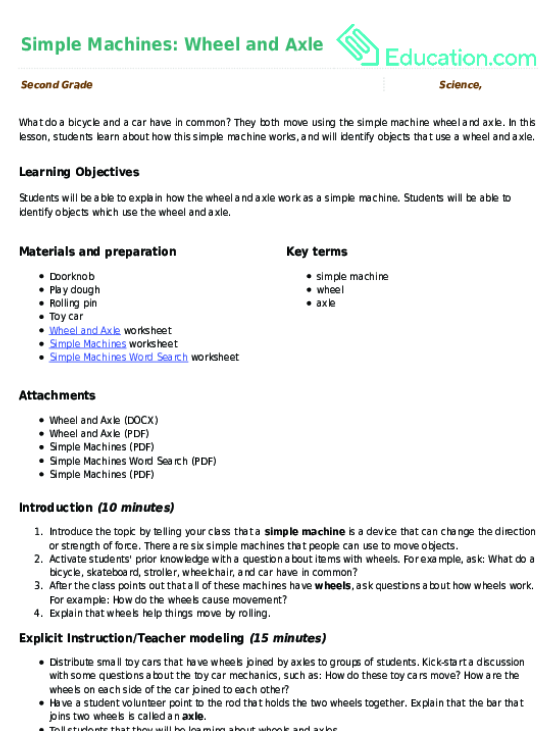 Young inventors will have a blast with this worksheet on compound machines! Use three of the six machines together to make work easier.